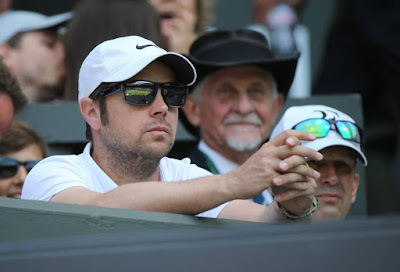 Roger Federer's main coach Severin Luthi spoke about the partition between the Swiss champion and Stefan Edberg and analyzed the new relationship with Ivan Ljubicic. "We already knew on summer that Stefan would have abandoned us at the end of the year due to the travels and the fact we extended the contact for one more year. The two seasons with him went very well, Roger was satisfied." - Luthi said to Blick. In these two seasons Federer played more aggressive, is this thanks to Edberg? "It's impossible to say it, mainly it was about confidence in yourself. As tennis player Edberg was playing aggressive, he encouraged Roger to do like him. It was a great relationship, Edberg was his chilhood idol". And what if he was Federer's only coach? "We spoke so much time about it but it wouldn't be ideal for me. This year I was with Roger for 200 days and if I was his only coach, I would have stayed with him for 40 weeks. With Davis Cup it's not possible. Also Roger listens to different people and it makes him remaining young and alert. Here is why I don't want to be the only coach. Edberg travelled with him in the tournaments only 10 weeks this year, with Ivan we still have to speak about it". "Ivan has ended his career three years ago, played against many of Roger's rivals. He is different than his last coaches like Stefan Edberg, Paul Annacone, José Higueras and Tony Roche. He lives in Monte Carlo. If he wants, he can come in Switzerland two or three days per week, has a good relationship with Roger. The goal is to develop his game, but it's about details. I don't think he'll play two-handed backhand in 2016 (laughs)."